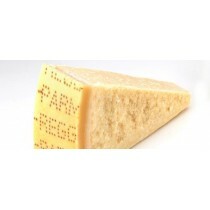 Parmigiano-Reggiano cheese is an ancient but extremely modern food. It is a unique and irreplaceable ingredient in the Italian cooking and in the Mediterranean diet. 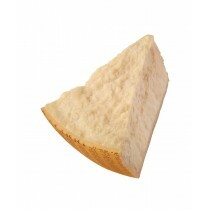 Thanks to its versatile properties, it is one of the most classical cheeses. The typical rounded shape grants a slow and long aging that give unique flavours and fragrances to the final product. 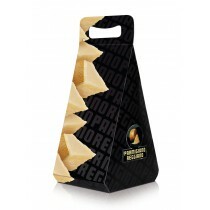 Parmigiano-Reggiano 18 months is just perfect for the happy hour: delicious when cut into small cubes on canapés and accompanied by dry white wine. 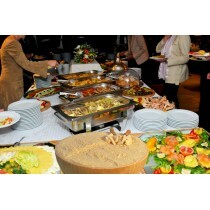 For your banquets and parties, choose our half cheese. The famous cheese of Parmigiano Reggiano sectioned in length, striking and rustic, is at the same time an high quality choice, when your guests are plenty, surprise them with Parmigiano Reggiano ready to be cut in flakes at the moment.